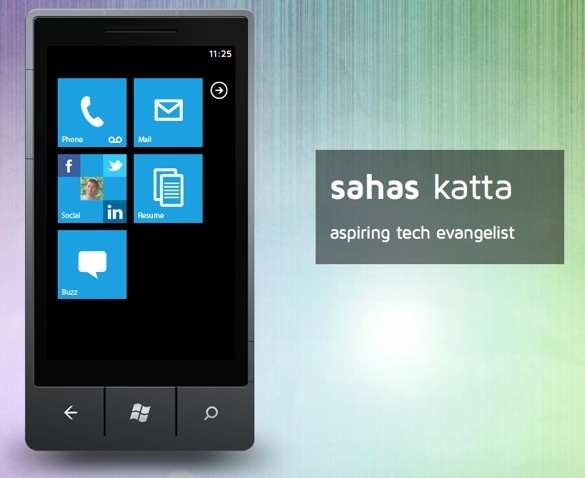 Purely for a little Windows Phone 7 aficionado fun on a Friday afternoon, check out this resume built online using a WP7 metaphor. For a resume, it's a bit light on detailed information, but it's very creative! I like it.